Relax in a clean and safe pool all season long at the best rates in the area with a regular pool maintenance package from Selleck Pools Inc. We maintain swimming pools in Scarborough, Ajax, Pickering, Markham and the surrounding areas. Our flexible maintenance packages are available weekly, bi-weekly, monthly or as a one-time service. Most of our clients enjoy weekly maintenance for 12 to 20 weeks. To make sure your pool is always ready for you to dive right in, plan your regular maintenance service today! In the Greater Toronto Area, we enjoy a short summer. Don’t waste your summer days scrubbing your pool or trying to balance the water chemistry! 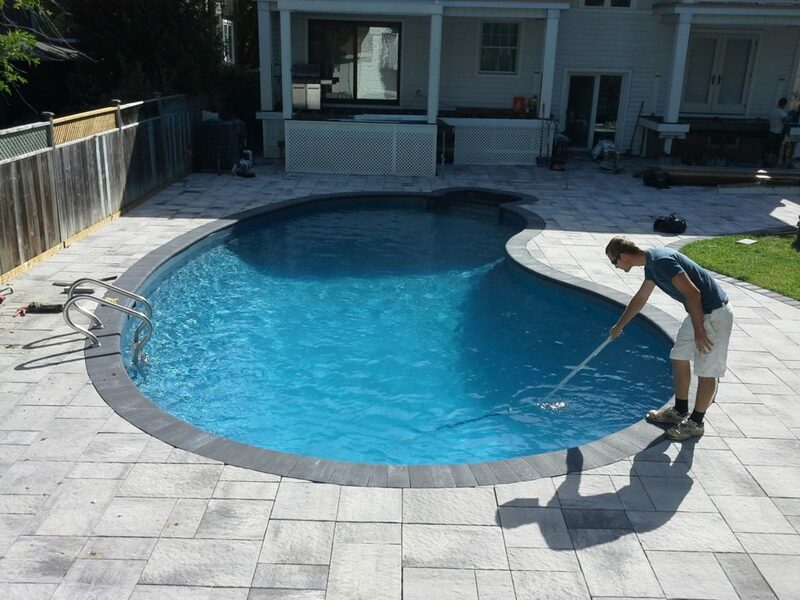 You can depend on the professionals at Selleck Pools Inc. for affordable and reliable maintenance services. Call 416-724-8649 or fill out our online contact form to inquire about pool maintenance packages. Rest assured your water quality will meet health standards for residential and commercial swimming pools. Selleck Pools Inc. is a member of the Pool and Hot Tub Council of Canada and registered with the Technical Standard and Safety Authority.